Does Dr. Ben Carson wish that the Republican nominee was someone other than his good friend Donald Trump? Of course he does. But the Republican nominee is Donald Trump, Carson astutely noted in a radio interview yesterday. And that is perfectly fine and okay. 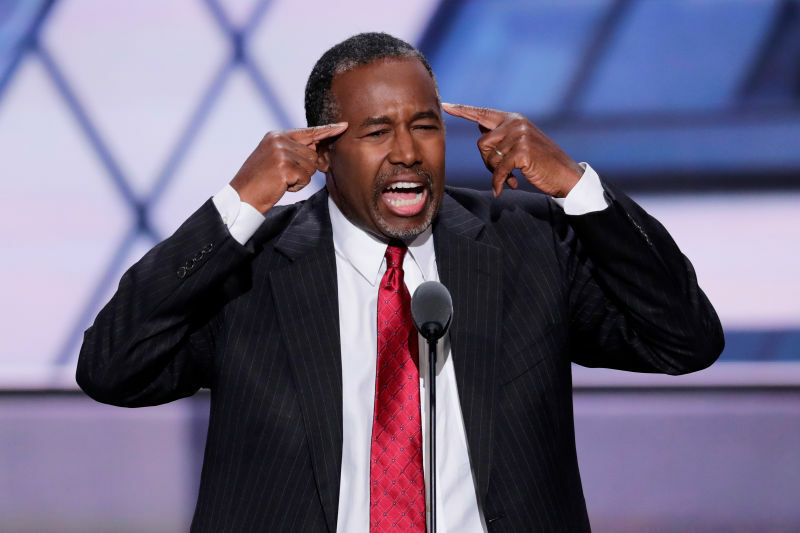 That Carson, an evangelical Christian, would make a (really quite nuanced!) faith-based argument justifying his support of a candidate as apparently secular and profane as Trump is to be expected. That doesn’t stop it from being hilarious, though! After all, in Carson’s formulation, what makes Trump the better candidate is that he is surrounded by people who are “wise.” This category would, presumably, include people like Carson! Which is awfully convenient. And also Rudy Giuliani, who on Thursday morning blamed New Gingrich for media reports that the Trump camp was planning an “intervention” with the candidate. Like Joseph with Pharaoh, like Daniel with Nebuchadnezzar, and so on and so forth.